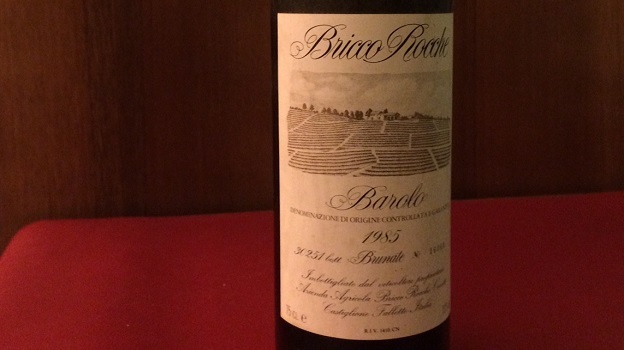 I love Ceretto’s Bricco Rocche wines, and to this day the 1982 Bricco Rocche Bricco Rocche (that’s not a typo) is one of my favorite all time Barolos from the decade of the 80s. Funnily enough, I have never been too impressed with Ceretto’s 1985s (an excellent vintage), but this Brunate is an absolute beauty. Very pretty pale red in color with a pronounced garnet rim, with archetypal faded red rose petals, sour red cherry and sweet spices on the nose and palate, this has assertive but noble tannins and vibrant acids providing backbone and length. Ageing beautifully, this is what Nebbiolo lovers the world over go ape for! 94/Drinking window: 2015-2020 for optimal drinking (but will last longer).